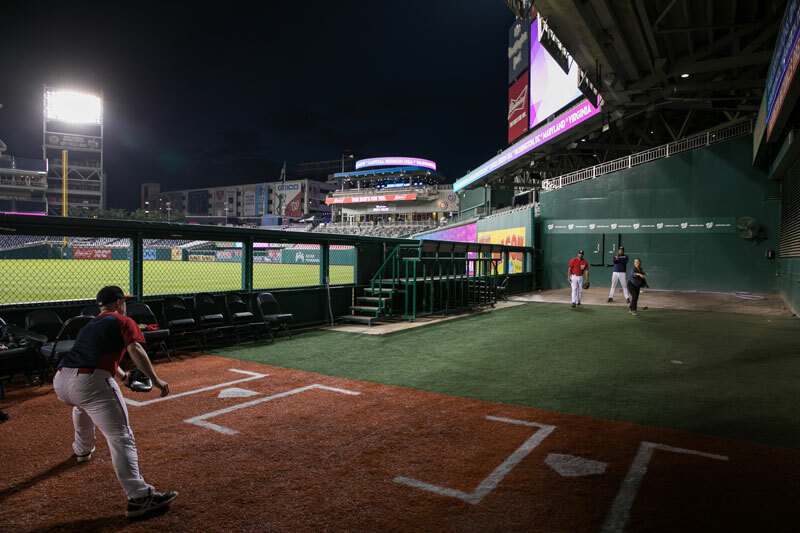 Hit a holiday home run by attending this baseball extravaganza at Nationals Park. 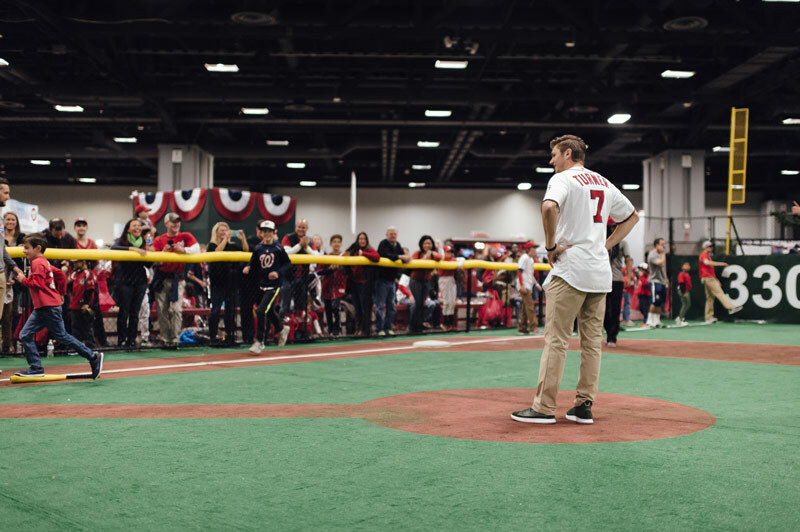 Fans of all ages can catch favorite Nationals players, coaches, mascots (and even Santa Claus) at the 2018 Nationals Winterfest on Dec. 1-2 at Nationals Park. From meet-and-greets to baseball and holiday-themed activities and games, fans won’t want to miss holiday season highlight. In anticipation of this year’s Winterfest, we’ve compiled a list of all the best activities and things to do. For more information and to purchase tickets, check out the Nationals Winterfest website. 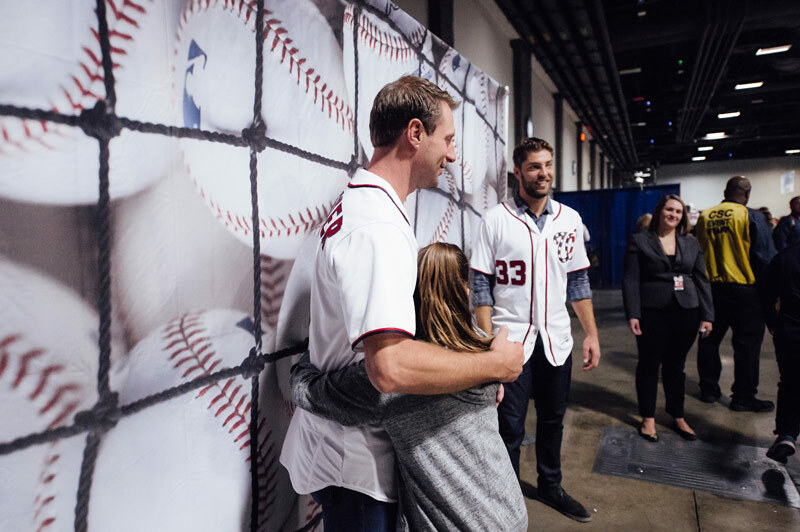 At Winterfest, fans will have the opportunity to meet their favorite players while posing for a picture at the player photo stations. Take the perfect photos for your holiday card (or Instagram). The Winterfest Main Stage will feature a variety of entertainment, from interviews with players, coaches and front office staff to interactive holiday games. Lucky fans will get to play games on stage with their favorite players, like wreath decorating and snowman building. 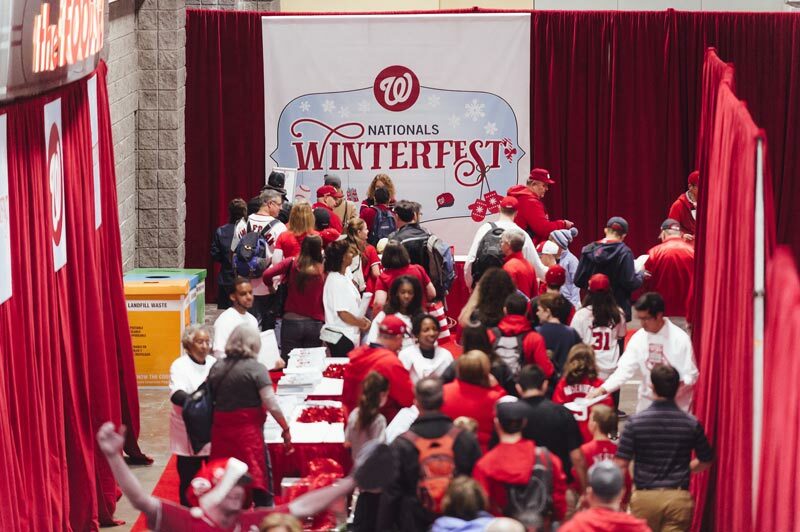 Winterfest features a designated area for younger fans with activities like snow fort building, inflatable tee-ball and the Rookie Steal Home Challenge. Young Nats fans can also listen to a story read by their favorite player during Kids Story Time and ask their favorite players and coaches questions at the Kids Press Conference. Coaches and players will be at the Youth Baseball Academy Field, where they will lead clinics and play baseball games with younger fans (ages 6-13). 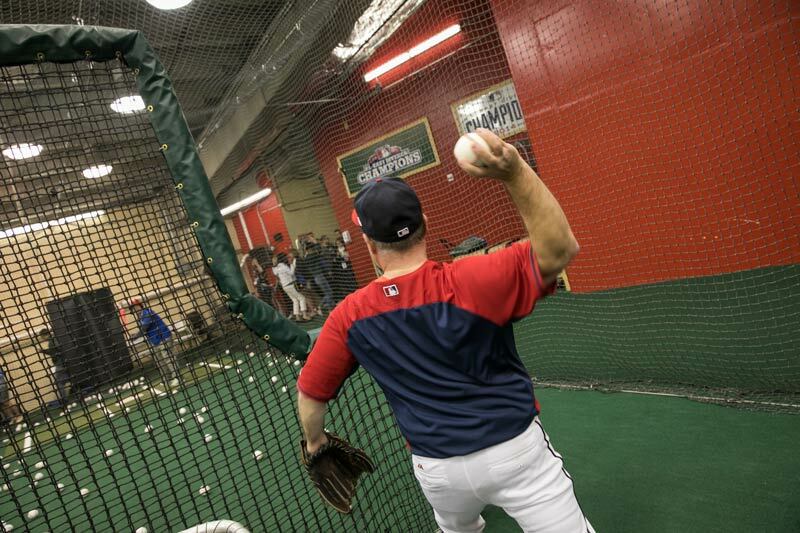 Channel your inner slugger and swing for the fences at the Nationals team batting cages. You'll have your friends and family thinking you're the next Bryce Harper or Juan Soto. 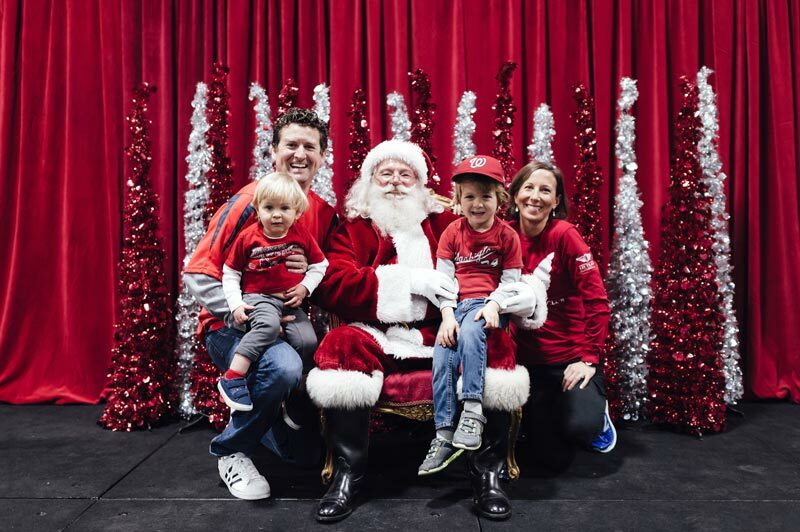 From Nationals jerseys and exclusive Winterfest shirts to an assortment of gift ideas and tickets, guests will be able to knock out any last-minute holiday shopping at the Nationals Team Store. Ticket information for 2019 Spring Training at FITTEAM Ballpark of the Palm Beaches and the 2019 regular season can be found at nationals.com/tickets. Pitch from the same mounds that elite pitchers like Cy Young-winner Max Scherzer and closer Sean Doolittle warm up on before taking the field. 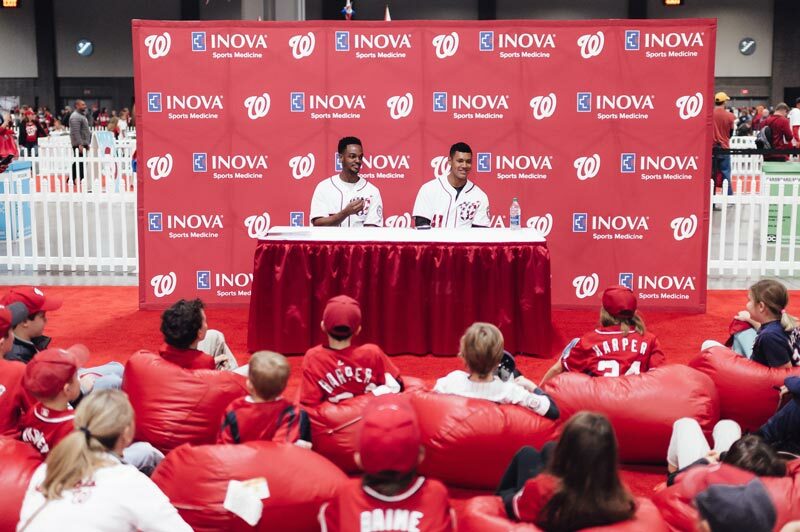 Want to meet a Nationals player? 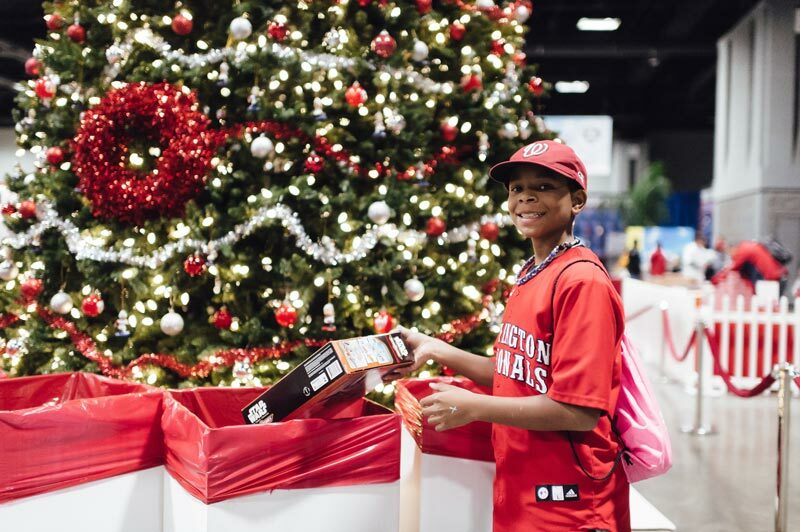 Bring a new, unwrapped toy to Winterfest for a chance to win a meet-and-greet with a Nationals player while helping local kids in need this holiday season. 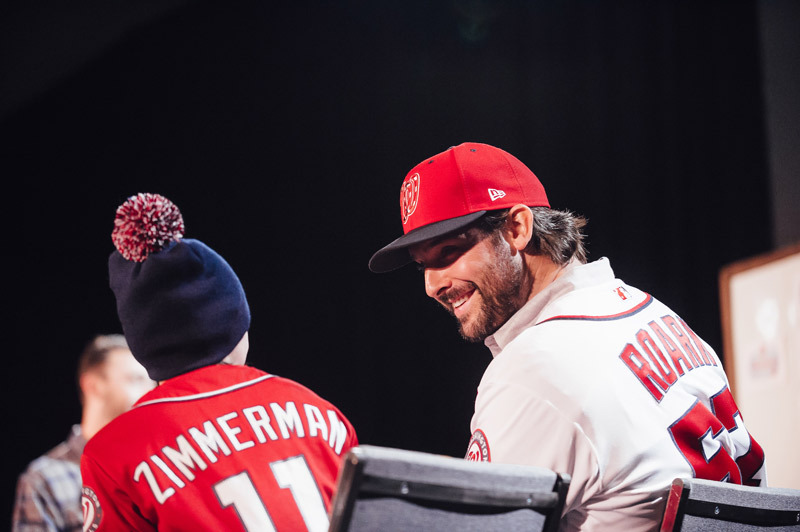 Each donor will receive one raffle entry as a reward for their gift(s), and 10 donors will be randomly selected each day to meet with a Nationals player, take pictures and receive autographs. Not only will fans get to take pictures with their favorite player or coach at Winterfest, but they will also get to snap a photo with Santa, the Racing Presidents or Screech. Buy your tickets early; the price will increase at the door! Visit nationals.com/winterfest for more information. And for more cold-weather fun, discover the best things to do in Washington, DC this winter.